The Dr Shezad Malik Law Firm helps folks get the recovery they need after being involved in a bicycle or pedestrian-automobile accident. After a bicycle or pedestrian accident in Dallas, an injured victim needs help – both medically and legally. When someone has been seriously injured in a Dallas bicycle or pedestrian accident, it’s hard to know what needs to be done immediately to help. These types of accidents often result in more serious injuries, and frequently fatalities, because the victims are less protected from the force of a collision and are much more vulnerable to injury, even in low-speed crashes. After an injury collision, it is a daily struggle to recover from injuries and to deal with medical bills and lost income, but there is one thing that will immediately help an injured victim. Dallas personal injury attorney, Dr. Shezad Malik can ease the financial burdens suffered by a bicycle or pedestrian crash victim. The traumatic days and weeks following a serious injury are often spent dealing with injuries, hospital stays, medical appointments and treatments, and disability. The stress of lost income due to missed work, and the medical bills that start pouring in, can be overwhelming and hinder the healing process. Dr Shezad can reduce this stress by launching the insurance claim that will start the financial recovery process. Have questions about how an insurance claim works after a bicycle or pedestrian accident? When someone is injured or killed in a collision with a motor vehicle, the driver's auto insurance policy can provide funds to pay for damages. Also, the injured person's own auto insurance policy may be available to help with the financial damages that occur after a serious injury, including lost income, medical bills, and funds for any future medical treatments that may be needed. The firm will receive a percentage of the settlement or verdict reached. There are no up-front costs and no hidden fees. All fees and costs are paid from your settlement. Learn more about how Dallas personal injury attorney Dr Shezad Malik can help immediately, and get your questions answered by calling 888-210-9693, 214-390-3189 or by completing this confidential contact form. In an accident contest between a bicycle and a car or a truck, in every instance, the car or truck will win. Bike & cycling accidents are a significant cause of severe traffic related injuries or wrongful death. Drivers of motor vehicles, because of their larger mass and speed have to pay careful attention to bike & cycling users on the road. If drivers are negligent and that negligence causes a bike accident or pedestrian injury accident, the Dr Shezad Malik Law Firm will hold them responsible. Drivers in the 21st century are distracted while driving, with the massive availability of MP3 players, music stereos, portable DVD players, and texting cell phones. A distracted driver can easily crash into a cyclist or pedestrian. Bicycles are small and may be difficult to see. Bicycles have a much smaller profile than vehicles, which can make it more difficult to judge the speed and distance of an approaching bicycle. Under Texas law, a driver can found negligent and liable for damages if a plaintiff can show that the driver violated driving related laws. Common examples include speeding, running through a red light, failure to yield and generally not adhering to the traffic laws. This theory of negligence is known as negligence per se. Under Texas law, a bike accident or pedestrian injury accident victim has only a certain time frame in which to file a lawsuit. 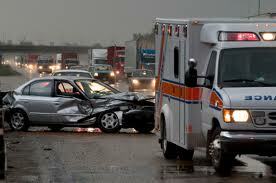 In Texas the Statute of Limitations for a Personal Injury lawsuit is 2 years. The following are statistics provided by the National Highway Traffic Safety Administration (NHTSA). More than 47,000 bicyclists have died in traffic crashes in the United States since 1932 — the first year in which estimates of cyclist fatalities were recorded. In 2009, 630 bicyclists were killed and an additional 51,000 were injured in traffic crashes. Bicyclist deaths accounted for 2 percent of all traffic fatalities, and pedalcyclists made up 2 percent of all the people injured in traffic crashes during the year. The number of bicyclist fatalities in 2009 was 12 percent lower than the fatalities reported in 2008. The highest number of bicyclist fatalities ever recorded in the Fatality Analysis Reporting System (FARS) was 1,003 in 1975. Nearly 75 percent of bikers were killed between 4 a.m. and 8 p.m. Nearly 20 percent were killed between the hours of 8 p.m. and midnight. Wearing a helmet is the singlemost effective way to prevent a head injury or traumatic brain injury in a bicycle crash. You need a bike accident expert to handle your case, contact Dr Shezad Malik Law Firm, the Dallas bike accident lawyer. Information and commentary provided by Dallas Fort Worth Personal Injury Attorney Dr Shezad Malik. The Dr Shezad Malik Law Firm can be contacted in Dallas toll free at 888-210-9693, 214-390-3189. If you or a loved one has been injured from a truck accident, car crash or bus accident, please fill out our contact card for a free consultation.